I was told atoms of this rock became the stone statues in Nikko and the atoms of Stone god which is at the back of this rock that dented big went to Nikko and became wooden figures. Moso bamboos are growing at the back of this rock. I was told these holes show there are Dragons in Nikko. There are shelves and the things like naive Buddha statues inside the caves. 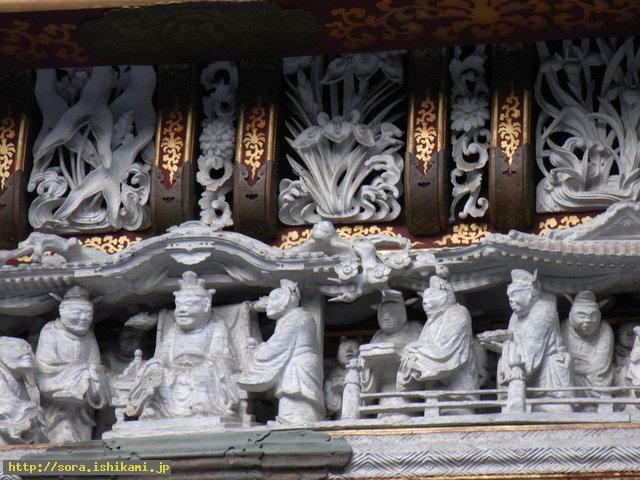 However the small stone statues in Nikko looks as if they were alive.